Well, Jo nailed it on the head by giving me Bob’s book… which nails it on the head. I’m snagging terrific, life-transforming quotes from there every time I read it. So many of us have in mind to spend extra time with family… or take special trips… or sit at home in front of the fireplace, cuddle up and watch a Christmas classic. But we get busy with work… and we don’t want to spend that money… and we accept the invitation to one more party. And before we know it, we’re making empty resolutions about how we will do better next year. Let’s don’t forget over the next 29 days. Let’s don’t accept that extra assignment or that extra invitation. Let’s just love full-tilt. Let’s love till people laugh at us. Let’s love till it seems over the top. Let’s just love, really love. And let’s start at home. 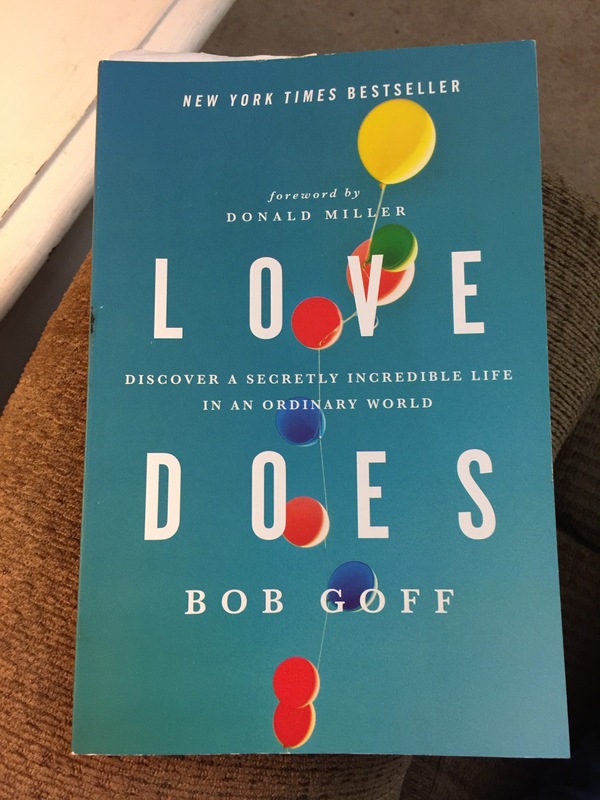 Pick up the book… get up earlier than usual so that you don’t waste time with your family… and let Bob Goff inspire you to love tangibly. I know he has already inspired me.